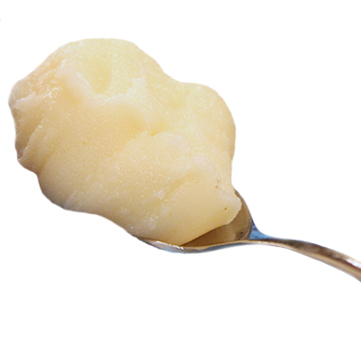 Schmaltz is a Yiddish term for rendered chicken fat. It doesn’t sound all that appetizing, so calling something “schmaltzy” (or its goy cousin, “cheesy”) is hardly a compliment. It means gooey sentimentalism, laid on thick. But don’t turn up your nose too quickly — smeared around on the right occasion, schmaltz can make life more tasty. Case in point, Barry Manilow (né Pincus). The strobe-light glitz of his shows, his gauzy tours down memory lane, his “dream duets” with recorded dead celebrities: all orchestrated to provide comfort to his aging Fanilows. They eat it up, then beg for more with their frantically waving glow sticks. And why shouldn’t they? Manilow may not write the songs that make the whole world sing, but close enough. He is one of those singular talents who by dint of vision, ferocious will, and perseverance have made their own world and populated it with admirers. Manilow has stayed true to his brand (himself) and respects what his customers want; that’s integrity. Yet cultural critics often dismiss Manilow for reheating the same old schtick, something you won’t often hear directed toward such senior performers as Mick Jagger (like Manilow, 71 years young) or Tony Bennett (88 and still in good voice). Note that Mick, like Barry, also no longer writes hits, and Tony was never a songwriter. I didn’t grow up a Manilow fan; as far as the ’70s go, I’m more of a Led Zeppelin guy. Yet to my surprise I’ve now been to two of his concerts in the last couple of years (to keep my wife happy — honestly!). To my greater surprise, I had fun both times. Manilow was an acquired taste for me, but it’s an undeniable pleasure to be among his devotees and give oneself over to the sing-a-long familiarity he whips up. Like his music or not, you have to admit he’s a total pro. There will always be those who can’t stomach an act like Manilow’s. I say ignore the churls and cynics and freely make up your own mind, in all matters. If nothing else, embrace people who are authentically themselves, especially if their purpose is to give joy to others. A little schmaltz can be delicious… What could it hurt? Spread the love.